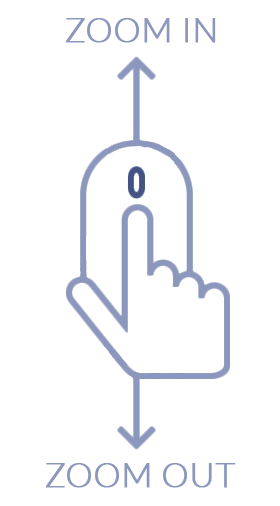 A pair of beautiful earrings is a simple accessory choice because they coordinate with nearly any outfit! 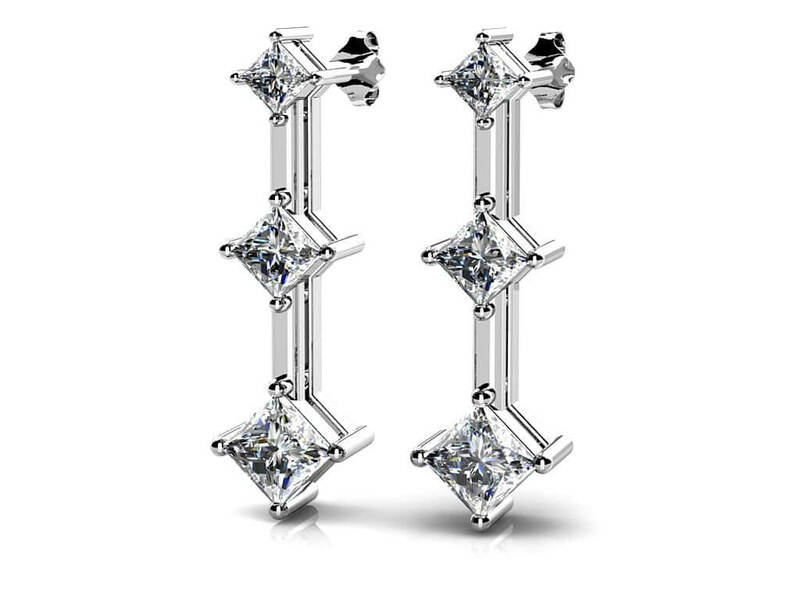 This pair of earrings has three fabulous princess cut gemstones that cascade down from the ear. They graduate in size from the smallest on the top to the largest on the bottom link. Available in 3 different sizes, ranging from 0.5 to 1 carat, these look wonderful in gold or platinum. 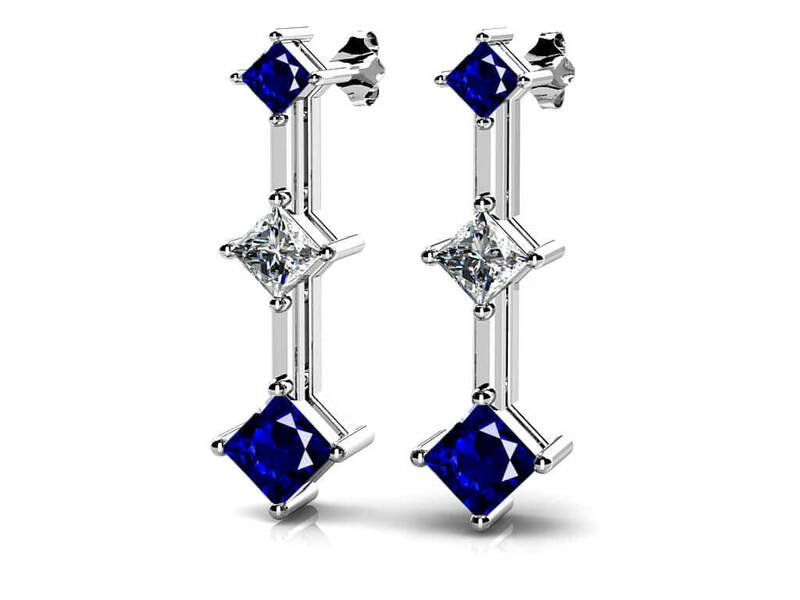 Any woman will feel like a princess in these gemstone and diamond earrings! All gemstones are AA quality. Stone Carat Weight: 2X0.040 ct., 2X.090 ct., 2X0.130 ct.